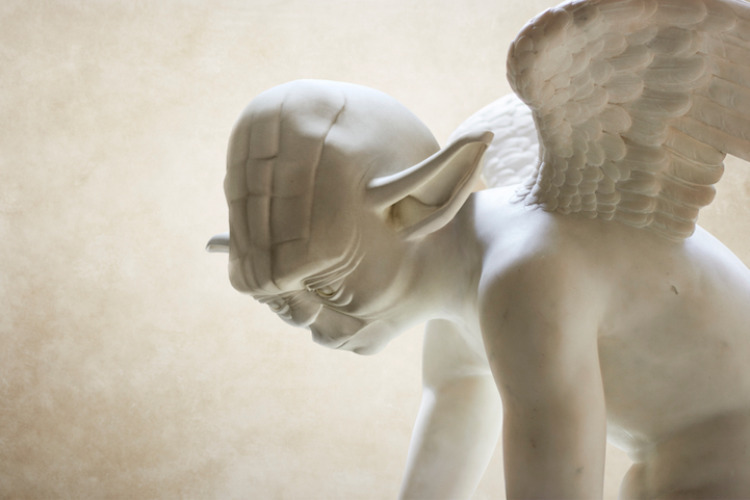 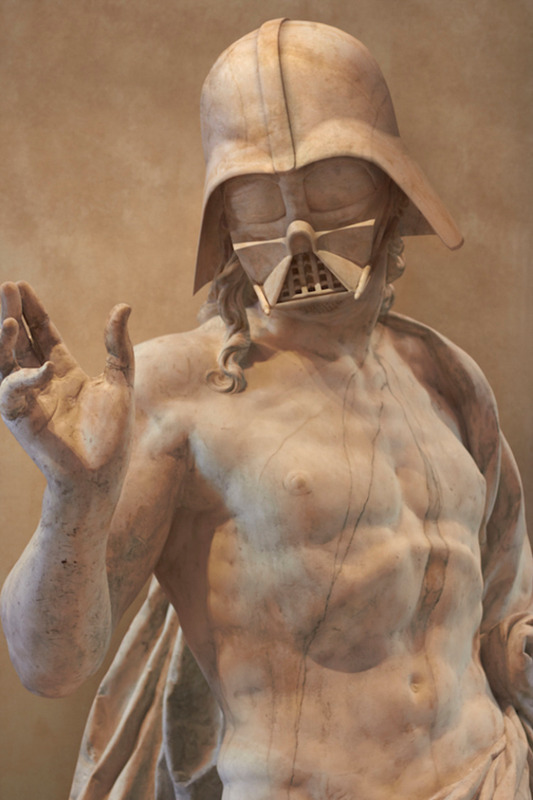 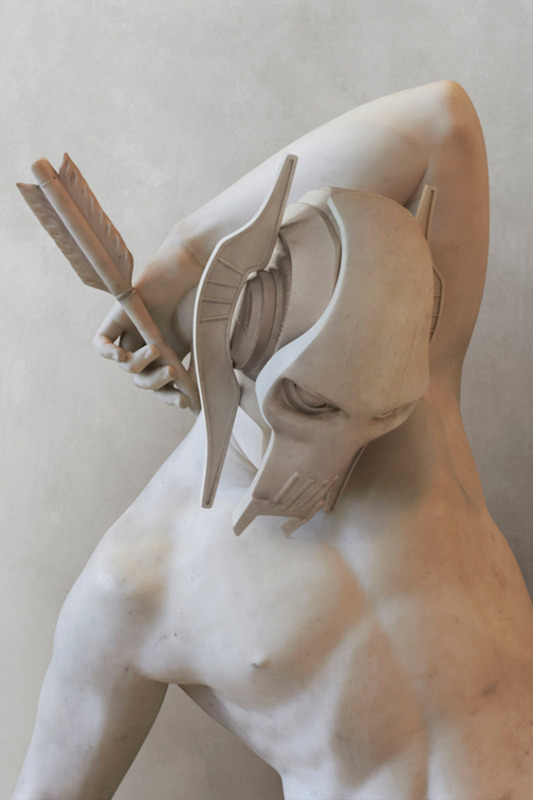 Artist Travis Durden excels at combining classic Greek sculptures with modern-day pop culture. 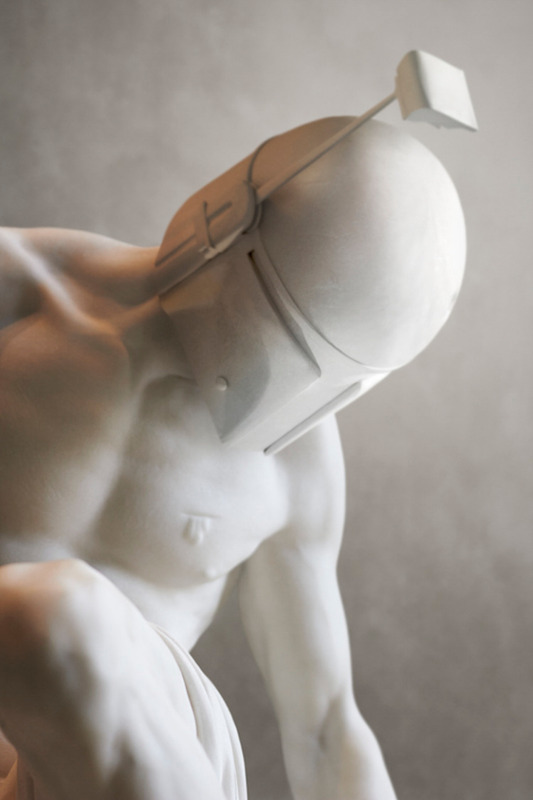 To succeed at this endeavor, the artist first visited Paris’s Louvre Museum and took pictures of the featured statues. 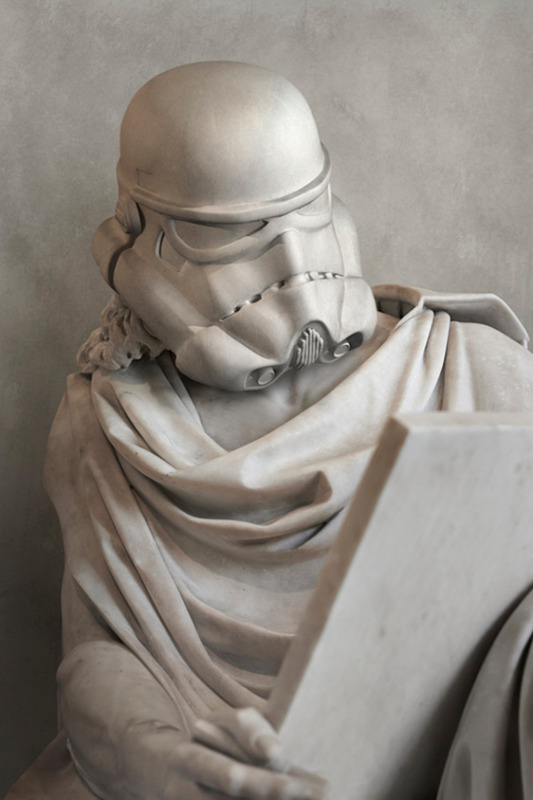 Using digital technology, he then collaborated with a 3D modeler to redesign the statues’ heads so they look like iconic Star Wars characters.